‘Visual novel’ is not a gaming genre that I have become well-versed in during my twenty or so years as a gamer. 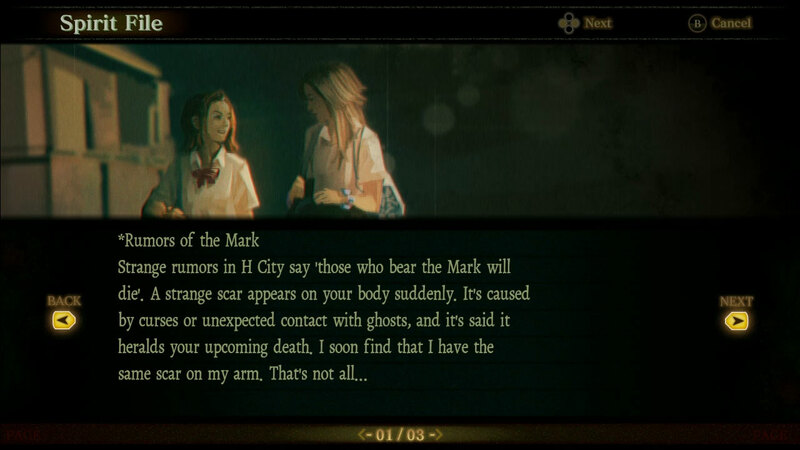 In fact, prior to my experiences with Death Mark on Nintendo Switch over the last few weeks, I would have gone as far as to say I didn’t believe they existed. A few sentences with an accompanying picture would have been my definition of a visual novel, and with a few minor additions, Death Mark is just that. Designed and developed by ‘Experience’, Death Mark is advertised on the Nintendo eStore as an ‘adventure’ game. Based on Japanese folklore and horror stories of old, the premise is simple: a rumour is spreading through the city that a mysterious disfigurement, or mark, is appearing on people’s bodies. Anyone who is unfortunate enough to receive this mark has under 24 hours to live, dying a painful death with unknown causes. Not only this, but the mark ensures that your memory is lost and you therefore fail to recall any previous events. You are not alone in this anguish, as others bear the mark too. Your task is to find out the cause of the town’s plight and save the people in it. Second on my list of missed opportunities is the actual content of said dialogue. With perks to both, I can see why the developers may have chosen to create the novel in this way however I personally believe there is a strong lack of description within the text. For the most part, it is very matter of fact and means that there is little in the way of suspense or intrigue. It is statement after statement about who did what and not so much how. 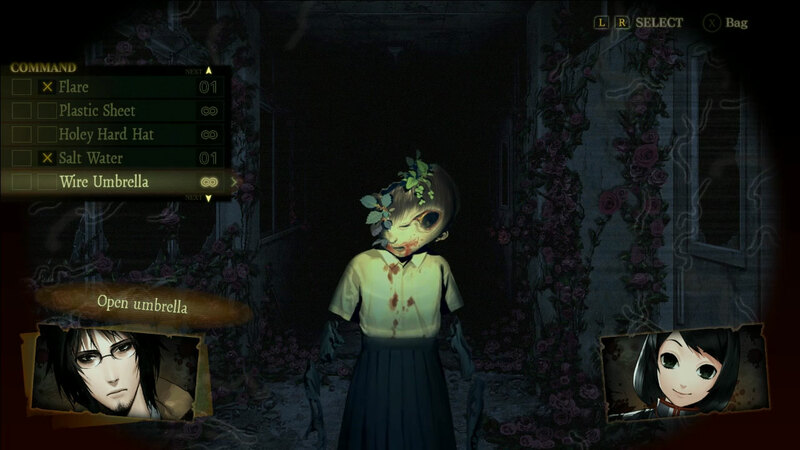 After a rather lengthy prologue which sets the scene for this horror game, chapter one of five begins with a visit to a school to investigate a sighting of the potential cause of the markings. During this chapter, Death Mark begins to try and tackle my third ‘missed opportunity’, in the form of character movement. Prior to chapter one starting, there is no evidence that the game will be any more than ‘cutscenes’, with no interaction between player and protagonist occurring, outside of answering on-screen text prompts. Fortunately, this changes with gamers able to move their player from screen to screen. Although a welcome addition, it fails to provide the level of immersion that again, I feel this game could have provided. Even as a visual novel, the ability to move a character around the setting would have been in keeping with the ideals the game was founded upon. 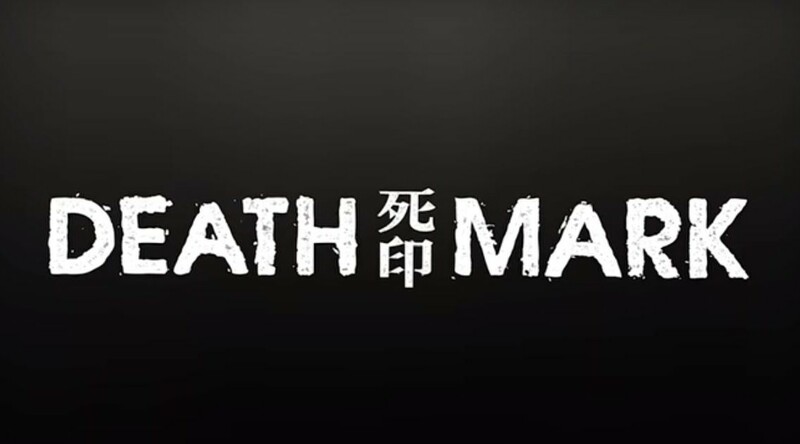 It would have also served as an opportunity to develop a relationship between protagonist and player, as well as increase the level of ‘horror’ – my fourth issue with Death Mark. On the surface, this recent release by the Experience development team has all the makings of a successful horror game. 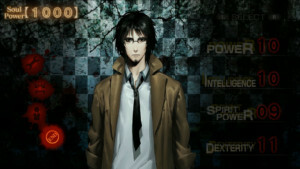 It has an eerie, downbeat setting enhanced through the settings shared with the user. The backdrop to the story includes many elements of horror, from mysterious goings-on to a creepy supernatural being. What it doesn’t do, however, is capitalise on this. 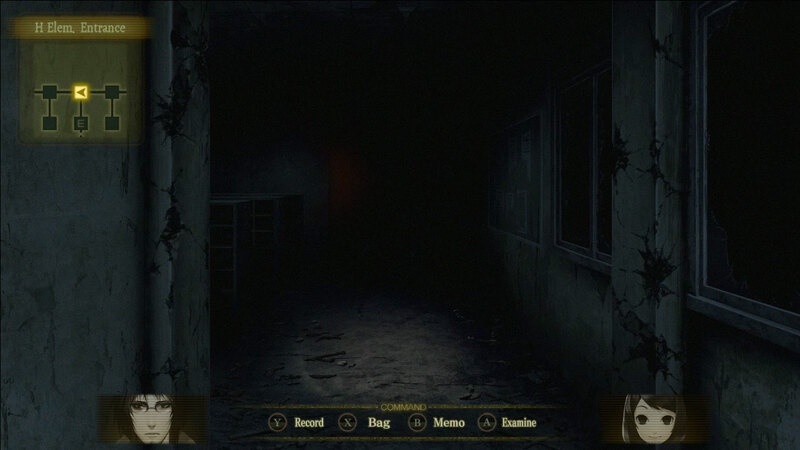 When moving between screens, completed using the directional buttons and the map on the top left of the screen, there is often a short delay which means that any ‘jump scare’ opportunities are lost. I wanted to be scared during this game, and at the beginning, I thought I would be. Unfortunately, this was not to be. When traversing from screen to screen, you have the option to explore the particular setting by using a flashlight to find points of interest to zoom in on. Once complete, the text on-screen informs you of what you found out, with any pertinent information being recorded in the journal for future reference. As you make your way through the game, you acquire additional tools and resources to solve any problems that you are faced with en route. For the most part, this continues to be used to engage the gamer by offering alternative ways to interact with the landscapes. 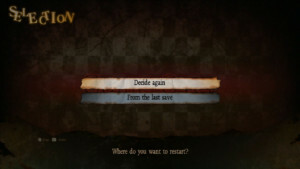 In another attempt to involve the gamer in the outcome of the visual novel, there are key questions asked which are offered as a ‘Deadly Choice.’ During these sequences, the player is faced with a choice that can result in death. Within a limited amount of time, the gamer must provide the correct answer to continue the quest. If you do not provide the right answer or you run out of time, it costs you ‘soul power.’ This is a numerical value which is added to or taken away depending on your actions. It is a good way to provide an element of free will and also increase the level of suspense. These choices are primarily based on previous information given through the on-screen text, so it is important that you read it all carefully. Having already touched upon the visual elements of this game, I did want to take a moment to appreciate the artwork on display. I enjoyed seeing the scenes in all their glory and it is clear that the developers have taken time to craft this to suit a purpose. Using the flashlight to explore each one and identify any key areas for investigation further highlighted just how beautiful these backdrops are. As well as this, the accompanying sound is one of the highlights that demonstrates how Experience have managed to build atmosphere. Of particular note is how they have managed to use both sound, and a lack of sound, to achieve desired effects. The timely inclusion of a chime or the abrupt stop of all audio worked wonders and kept me listening in throughout my time playing the title. I have an appreciation of what was trying to be achieved with Death Mark, and I applaud the elements that work. I do, however, feel that this game could have offered so much more and this would have been achievable without losing its identity as a visual novel. 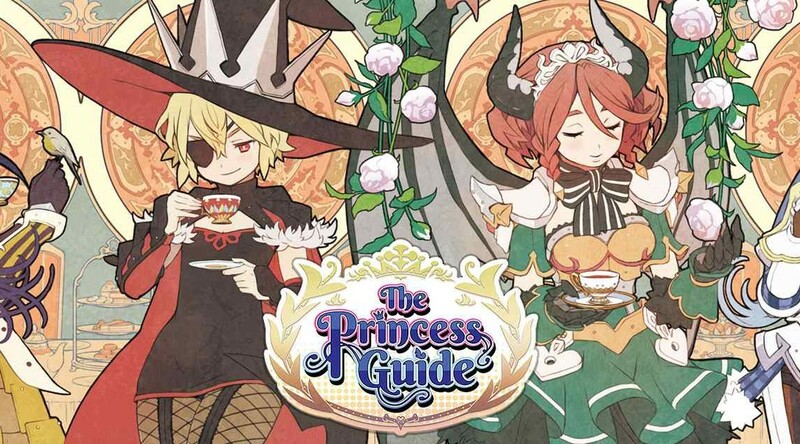 This game opened my eyes to a new genre, and although I haven’t closed them again at the end of this experience, I am left feeling that with all that is out there in the gaming world now, visual novels will have to do more to provide a worthwhile experience. I also cannot help but factor in the cost of this title when considering my recommendation, as it is priced in the same bracket as many AAA games. It is for that reason, among many others, that leads me to a score of two and a half hearts out of five.